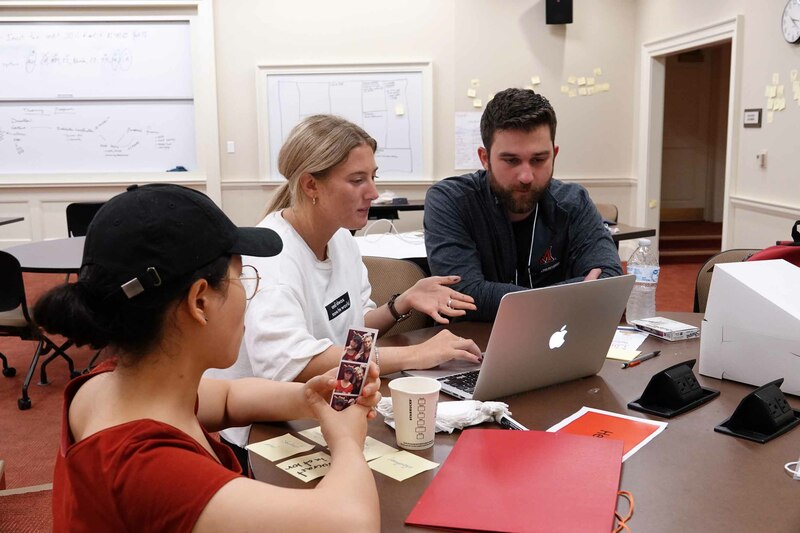 It wasn’t Josie Dalton’s first time at Startup Weekend, but as a recent graduate and a new mentor, it was the first time that she experienced it from the outside looking in. 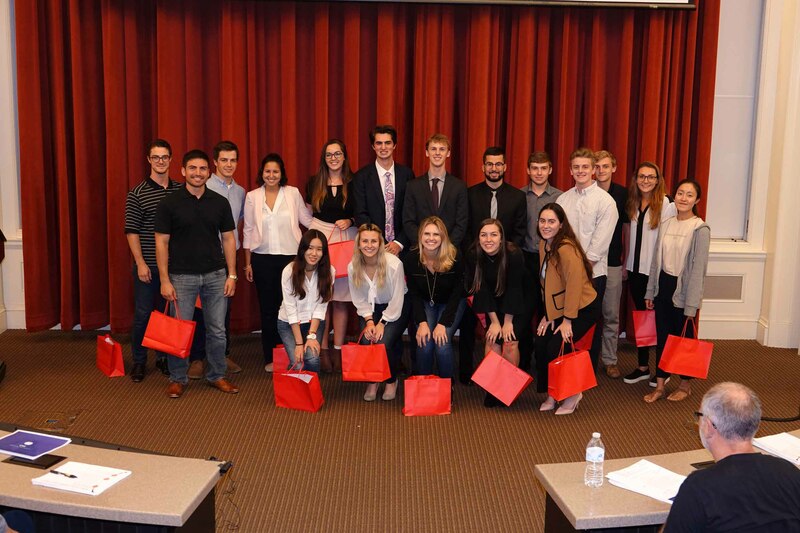 Those student teams were formed from scratch, worked to come up with a startup business that would solve an existing problem, figured out how the business would be funded and operate, then presented their ideas to a group of industry judges, all in a little more than two days. 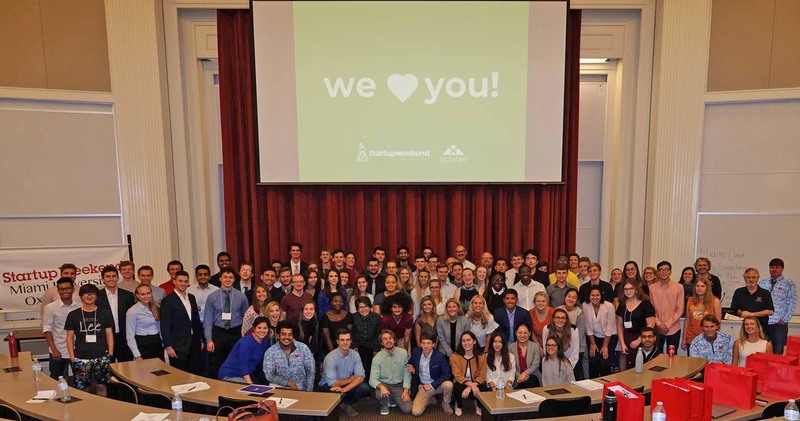 Dalton said that short timeframe is key to Startup Weekend, in part, because it’s crazy. 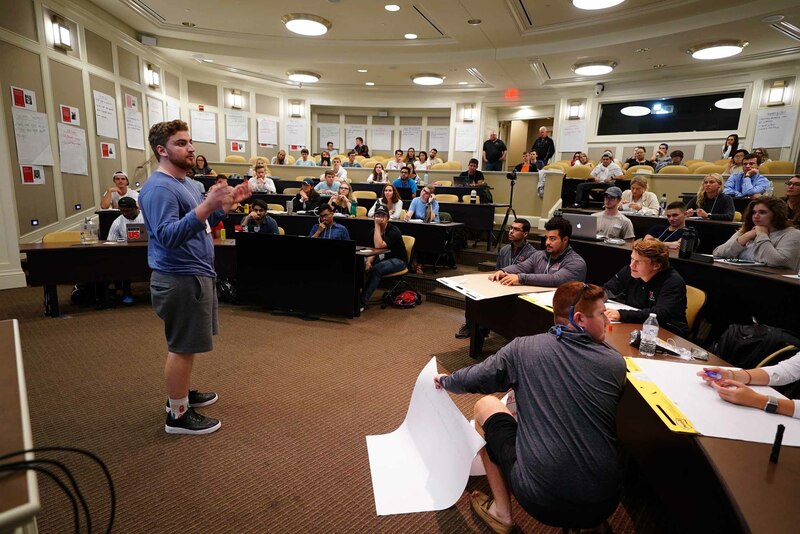 “Part of the novelty or appeal of Startup Weekend is that it’s completely absurd to conceptualize starting a business or forming a business model in 48 hours. So the fact that it starts with such a ridiculously aspirational premise in the first place makes it really fun and exciting,” she said. 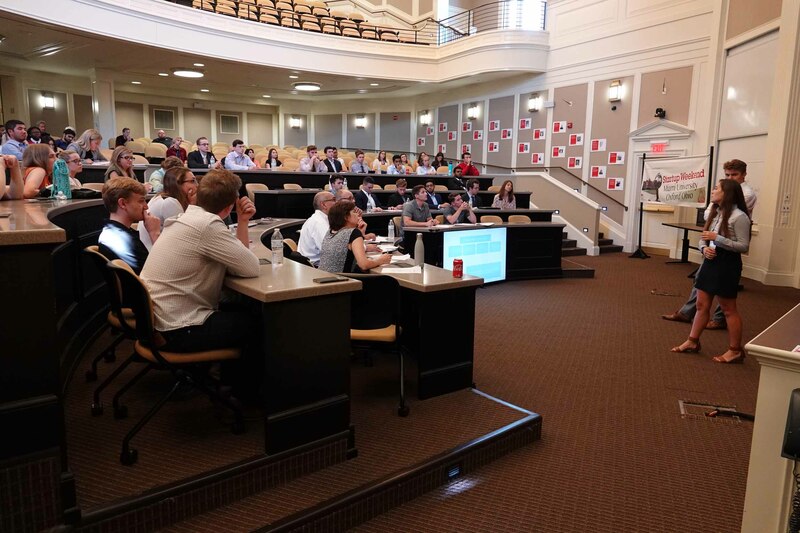 More than two-dozen ideas were pitched, of which 14 received enough participant votes to begin work. Of those, 12 survived to make the final presentation. 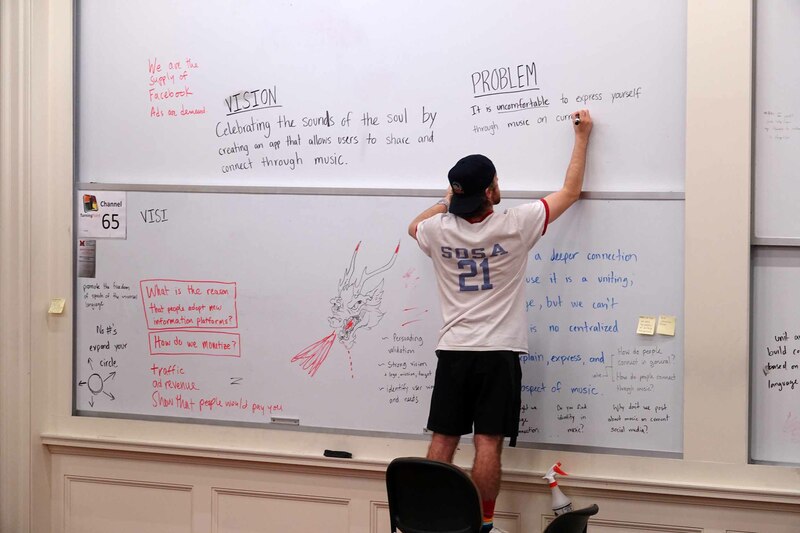 “We kept pivoting our idea; we had the one idea and we kept changing it over and over again. 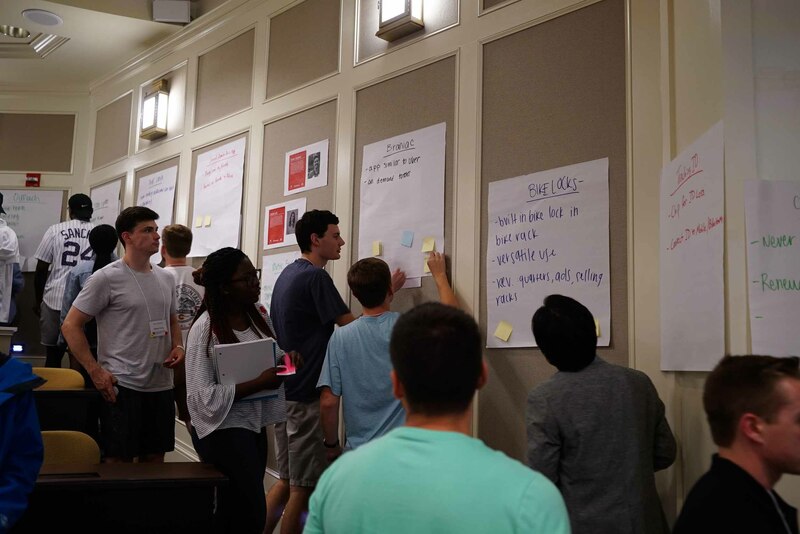 And then really late Saturday, we decided to go back to our original idea,” junior interactive media studies major Deniz Tektas said. That idea, a wearable device called Walk Along for summoning assistance from friends, won the top spot in the competition. The group that Irby was part of, a crowdsourcing app for choosing songs at parties or events called Q’ed, came in second, while a pet-vetting online service call Fur-Ever Home took third. Q’ed also won the People’s Choice Award. Startup Weekend judge Rahul Bawa, CEO of two Cincinnati-area companies and a board member or chairman of four more, said he liked the scope of the ideas presented.